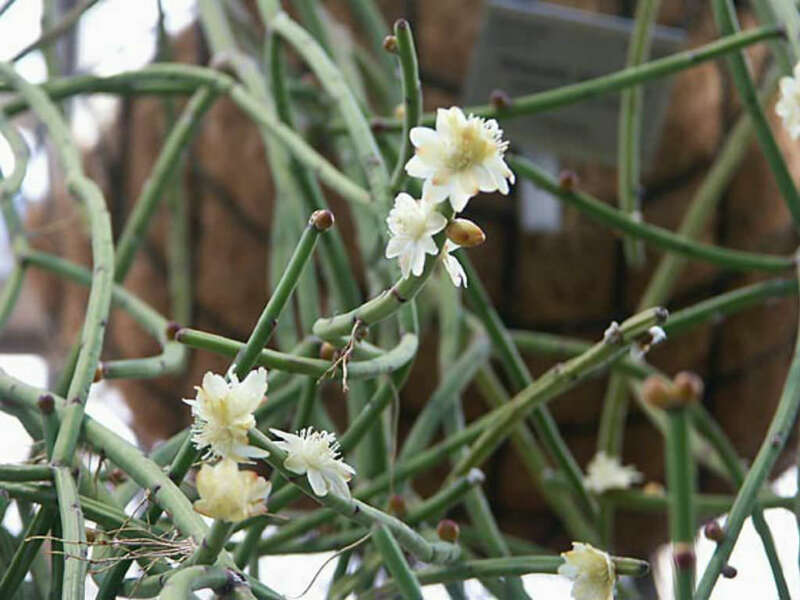 Rhipsalis rhombea is an epiphytic cactus with elongated, much branched stems, hanging in large clusters. 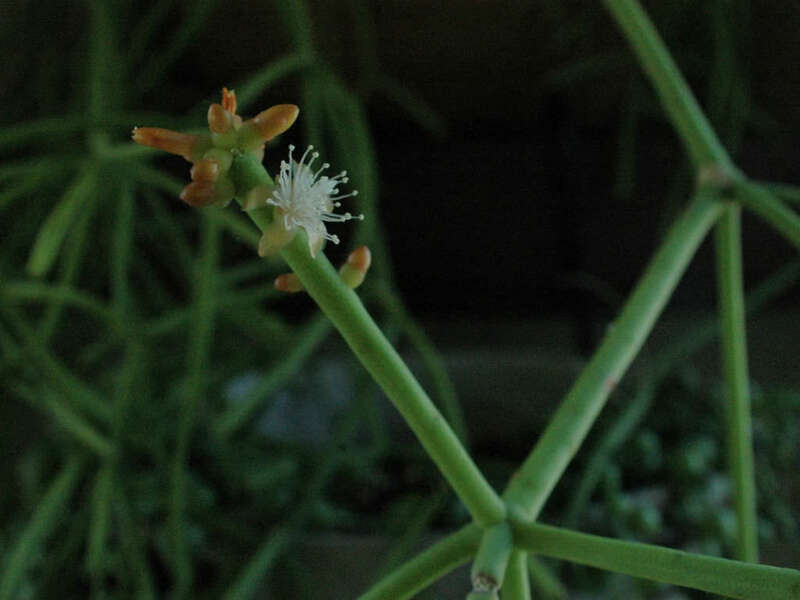 The branches are up to 0.2 inch (5 mm) thick, terete, elongated, deep green and arranged in whorls of 3 to 10. 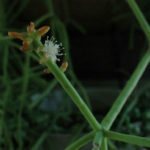 The flowers are widely spreading, up to 0.8 inch (2 cm) wide and white to cream in color. The fruits are globose, red and up to 0.4 inch (1 cm) in diameter. 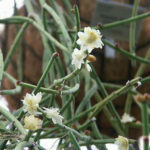 Rhipsalis do not thrive in direct sunlight. Exposure to afternoon sun can burn the leaves, turn them yellow or lead to spotting. 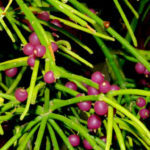 However, without sufficient sunlight, they will not bloom and its growth can be stunted. These cacti do best with morning sun and full shade in the afternoon. 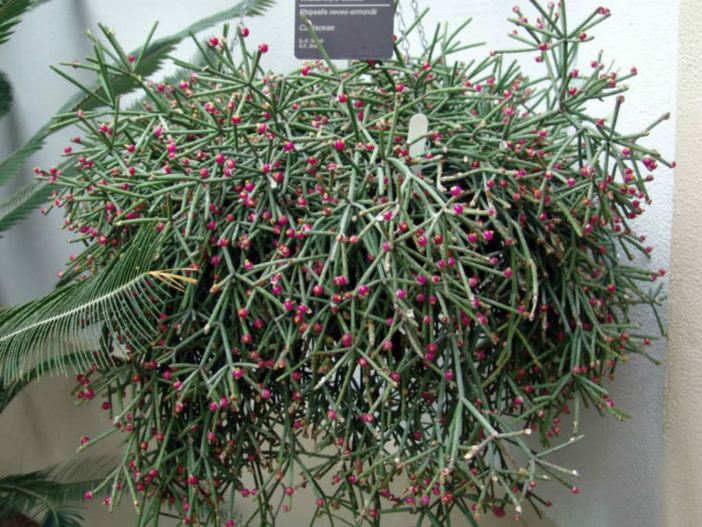 As Rhipsalis is commonly grown indoors, care must be given to the placement of the plants. They should be kept at least 20 inches (50 cm) away from windows that receive midday or afternoon sun. The glass in the windows can multiply the heat from the sun’s rays, causing sunburned leaves. 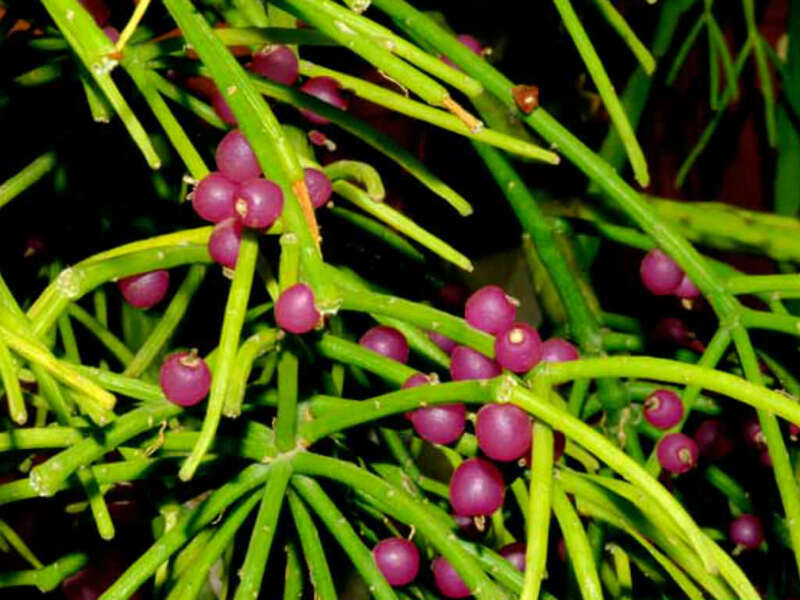 Keep in mind that in its native environment, Rhipsalis is accustomed to receiving light that has been filtered through dense, overhanging tree branches. Picturing this environment can help you adjust your lighting accordingly.